Restoran New Le Tian (新乐天餐室) is nighttime eatery in Alor Setar. It occupies an old shop across the street from Masjid Nagore. 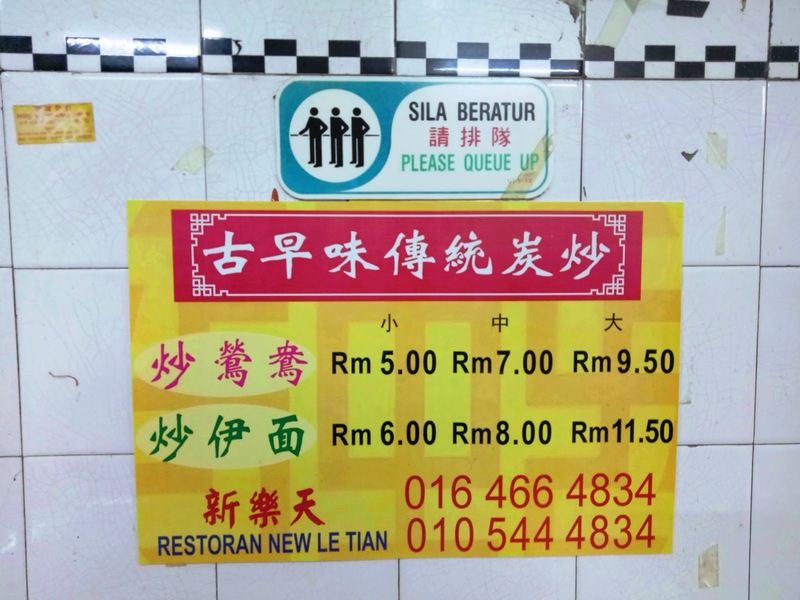 Each evening, there is a long queue of take-away customers; some people buy tens of packets at a time. 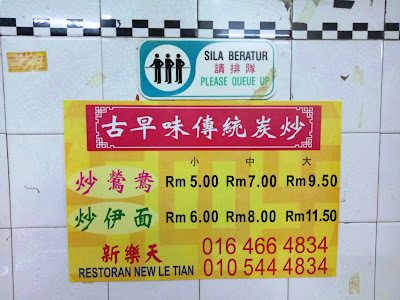 Fortunately for us, the restaurant prioritizes dine-in customers. 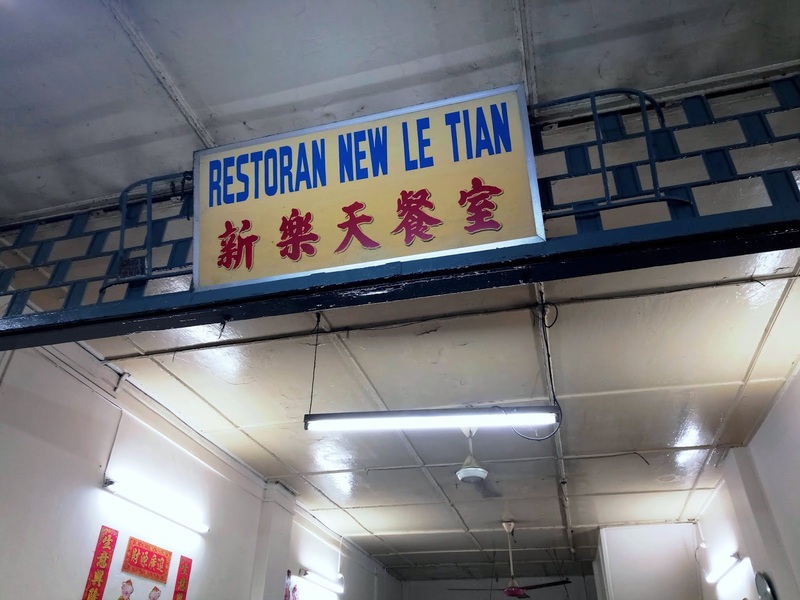 Restoran New Le Tian is famous for its Fried Yin Yong (炒鸳鸯, RM7.00 for medium portion). This dish uses a mixture of tua ban (大板) and rice vermicelli (米粉). 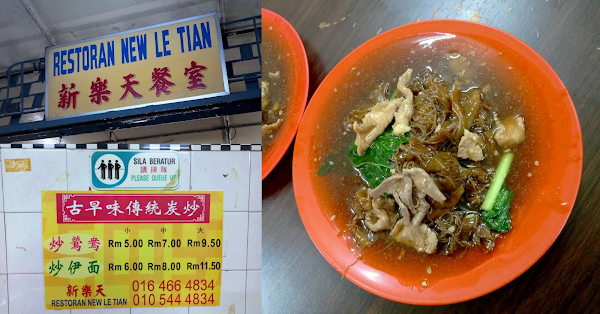 Tua ban is somewhat similar to koay teow (粿条) but is wider. The noodles are dry-fried using a charcoal-fired stove, and then drenched with thick, starchy gravy. 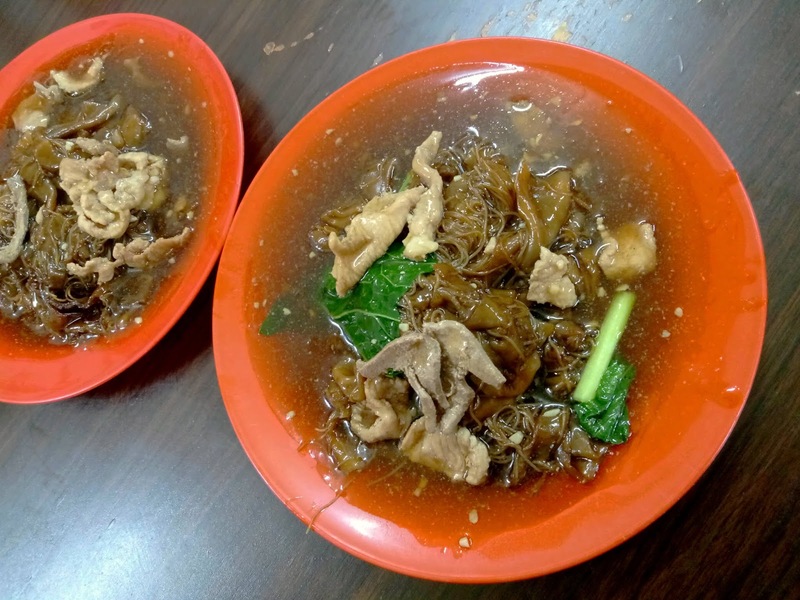 Fried Yin Yong also contains pork slices, pork liver and choy sum (菜心). Overall, the dish resembles Cantonese-style Wat Tan Hor (滑蛋河) but without eggs. 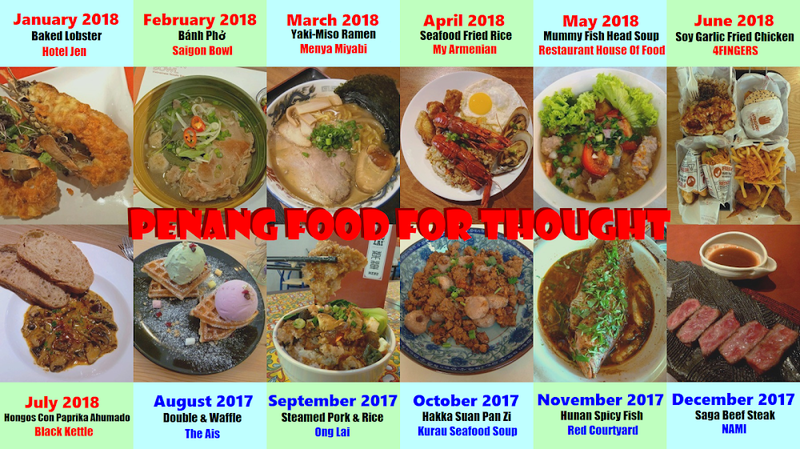 Alor Setar's style of Fried Yin Yong is seldom found elsewhere. For people who have not tasted this dish before, I recommend that you do so. If possible, visit the restaurant earlier in the evening to beat the dinner crowd. 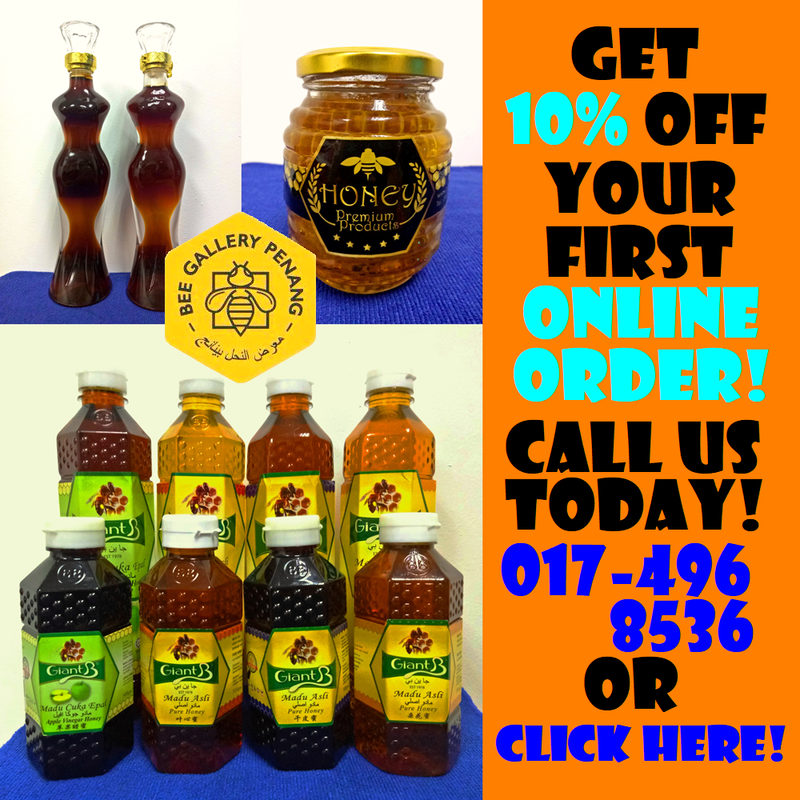 If you need to place a large order, call during the day so that the restaurant can prepare your order ahead of time.